It was a year that was almost impossible to predict, but I did give it a try. 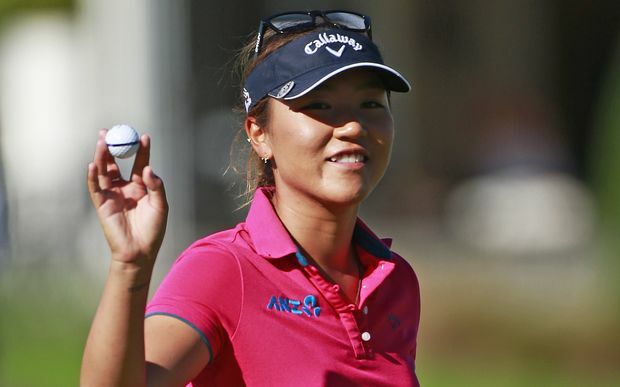 2- Lydia Ko - I knew when I picked her here that she would have a chance to take Stacy's crown. She did with a very dominant year. She not only finished #1 on the money list, but won 5 times, and took both the Player of the Year Award, and the Race to the CME Globe. Lydia may have changed her look, but her game keeps getting better. 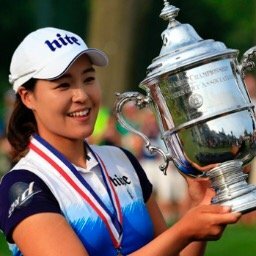 3- Inbee Park - Inbee had a spectacular year. She not only won five times, but two of them were major championships (one more than Lydia Ko). Many people thought she should be player of the year, but it wasn't to be. She finished 2nd on the money list, 2nd for POY, and 2nd in the Race for the CME Globe. She made my pick look good. 4- Michelle Wie - I was doing real good until this pick. How could anyone predict her injury filled year would not include a single top ten? She finished #49 on the money list. 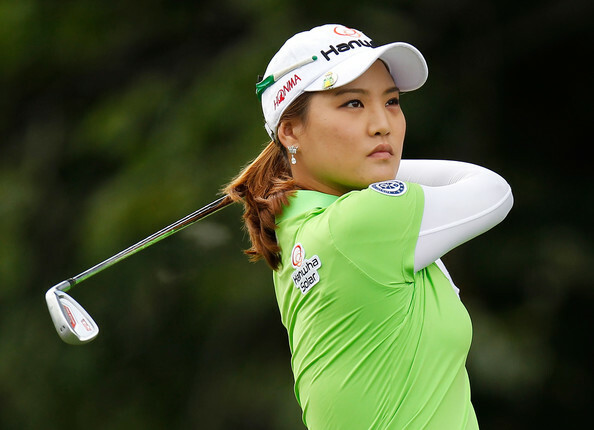 5- Chella Choi - After finishing #16 on the 2014 money list, I was looking for a breakout season and her first victory. I got the victory, but she actually fell down to #20 on the money list. It was an inconsistent season to say the least. 6- Suzann Pettersen - It was an up and down year for Suzann, which did include a victory. She struggled at times with a back injury and never really got on a roll. Her finish at #14 on the money list wasn't that bad, but I believe we will remember her for the Solheim Cup rather than any other achievements in 2015. 7- So Yeon Ryu - Although she did not win, she seemed to always be in the mix. Getting a reputation as a player who gets lots of top tens, but can't finish. Still, many players would certainly take her #8 finish on the money list which made my pick look great. 8- Shanshan Feng - I'm still on a roll. Although she didn't win a tournament, her consistent play landed her #9 on the money list. 9- Hyo Joo Kim - Many people thought I was picking her way too high as she was just a rookie. I was slightly high, but she sure didn't disappoint. A year which did include a victory, landed her #13 on the money list. Can Lexi become the #1 American player in the world this coming season? 10- Lexi Thompson - After a mediocre start, Lexi was as good as anyone the last dozen tournaments of the year. Winning twice, and numerous other top 10 finishes, vaulted her to #5 on the money list. Is she ready to join the big three in the world rankings? You will have to wait for my 2016 predictions for that answer. 11- Azahara Munoz - I was off on this one but have a real good excuse. She had hand surgery earlier in the year which caused her to miss part of the season. When she returned it took some time for her to regain her sharpness. That said, she still finished at #32. 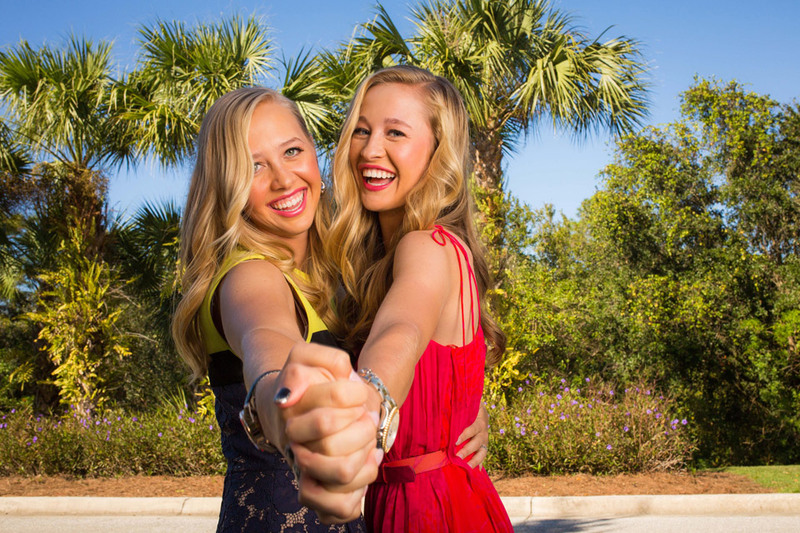 12- Jessica Korda - She seemed invisible until she won the Sime Darby LPGA Classic in Malaysia. Didn't do much after that either. Still only 22 years old, you have to figure her best days are still ahead of her. She finished at #27. 13- Pornanong Phatlum - After a breakout year in 2014 (#26 on ML) I was looking for her to make big strides this year. I was wrong. She finished the year at #38. 14- Mirim Lee - In 2014 she won twice in her rookie year, and finished #11 on the money list. I predicted she would fall some in her sophomore year. I was correct as she finished #19. 15- Brittany Lincicome - She played well in 2014 as shown by her #19 finish. I thought she could still do better. She did just that with her #12 finish. 16- Julieta Granada - OK. I am entitled to miss one every once in awhile. Not sure what happened here. A hugely disappointing season saw her fall all the way to #51. 17- Minjee Lee - I have to pat myself on the back for this one, as this super-rookie not only had a victory in 2015, but finished #16 on the money list. She will get even better. 18- Anna Nordqvist - A very solid season that included a victory at the ShopRite Classic. She has become one of the most consistent players on tour, and as a result finished #10 on the money list. 19- Na Yeon Choi - She came into this year as a player that always ranked among the leaders in top ten finishes, but should have won many more times than she had. She reversed that this past season as she won twice, but was only able to finish #17 on the year's money list. 20- Paula Creamer - No longer among the elite players on the LPGA tour, Paula fell all the way down to #47 on this year's money list. She got married last December and has never seemed happier. Still, it's difficult to watch a superstar on the decline. Or maybe I'm counting her out too quickly. 21- Karrie Webb - Every year I have been predicting her decline and she has proven me wrong. This year she fell very far, very fast. Last year's #8 is now this year's #43. 22- Cristie Kerr - What a bounce back year it was for Cristie! Did anyone expect 2 wins? Now in the driver's seat for both the International Crown and the upcoming Olympic Games, she finished the year #7 on the money list. 23- Angela Stanford - She put herself in contention on Sunday a number of times this year, but she was never able to seal the deal. No longer appearing to be able to contend on a regular basis, Angela finished #34 this year. 24- Jenny Shin - A solid, if not spectacular player, Jenny finished at #26. At just 23 years old, her best days may still be ahead of her. 25- Q-Baek - Her name got lost this year amongst all the great rookies. I expected more, and I believe most everyone else did also. Finishing #57 on the money list was a disappointment. 26- Charley Hull - Her season was far better than her statistics might show. She played in only 14 tournaments, so her # 48 ranking was a positive. She promises to play regularly this coming year, so look for a big jump. 27- M.J. Hur - Maybe the most disappointing performance of any of my picks. She finished #24 last year, leading me to believe we would see more of that player. Finishing #72 was not what anyone would have expected. 28- Ilhee Lee - Had a very solid 2014 season when she finished #37 on the money list. I felt that she could do even better this year, and she didn't disappoint. Ilhee came in at #24. 29- Lee-Anne Pace - Le-Anne took a step backwards last year as she dropped all the way down to #46 on the 2015 money list. 30- Kim Kaufman - I got criticized by many for this pick. Kim surprised us all in 2014 when she finished #52 in her rookie season. I said it was not a fluke and she would improve this year. In spite of the fact that 8 rookies finished ahead of her (did I say what a great rookie crop we had? ), she still managed to move up and finish in the #45 spot. She finished very strong, and I predict she will win very soon. The sophomore jinx did not apply to Kim, as she moved up the LPGA money list. There you have it. I have had better years, but I think I didn't embarrass myself either. I will be posting my top 30 picks for the 2016 seasons, in a few weeks. You did a good job predicting 2015's top 30. - No one from Spain made to the top 30. Spain is also now standing at 9th place for International Crown. Can't believe if the defending champion doesn't make it next year. - After ignoring Yani Tseng for the last 2 years, she actually made #21, and Candie Kung from Taiwan also made #29. This gives Taiwan at #4 for International Crown 2016 if they keep up with their rankings. Never know what will happen in 2016. Can't wait for your predictions. You make some Excellent points (you should register so I know who I am talking to). It is amazing that none of the players from Spain have ever won a stroke play tournament. Munoz won at Sybase (match play). I think Spain will get in before the cutoff. Beatriz Recari won the Kia Classic in '12 or '13, didn't she? Yes. I stand corrected. Actually I think Beatriz has won 3 times. The last coming at the Marathon Classic a couple of years ago. Azathara Munoz, Carlotta Ciganda, and Belen Mozo have never won a stroke play event. As for Spain, Carlotta Ciganda did well for Solheim Cup, and a 2nd place finish towards the end of the season. Beatriz Recari had quite a bad year. If Spain will get into 8th place for International Crown, then they have to work really hard next year to beat England which is currently at 8th place. As for Carlotta, it was too bad at Lorena's that she shot a 63 and didn't win! It was an exciting final round as all the players on the leaderboard played great, especially Inbee. Hope Carlotta can get her driver working next time and get the win. As for Lorena, LPGA should get rid of the 10 yr. membership rule and induct Lorena into their HOF. Brooke Henderson played in fewer than half of the events as most of the top players, and only 4 as a member. If they credited her with all her earnings she would have finished in the top 20 on the money list. With a full season ahead of her in 2016, she should be in the top 10, or higher. Also, keep your eye on Megan Khang as you handicap the rookies for 2016. I will be posting my 2016 predictions soon. You get bet Brooke will be high on my list. Not a clairvoyant year, but still pretty impressive Tony. well done. Thank you for your website. Look forward to it. I think you do pretty good with your predictions. Hard to predict with professionals as one never knows whats going on in their personal life etc. I think Lexi and Stacy will have good years and I have hopes for the other usa players to do well for the good of the LPGA. USA fan support is important. Thanks again looking forward to your 2016 predictions.